May « 2013 « Geekorner-Geekulture. You know how in various media you hear about people confusing fear for respect, and not understanding the difference? 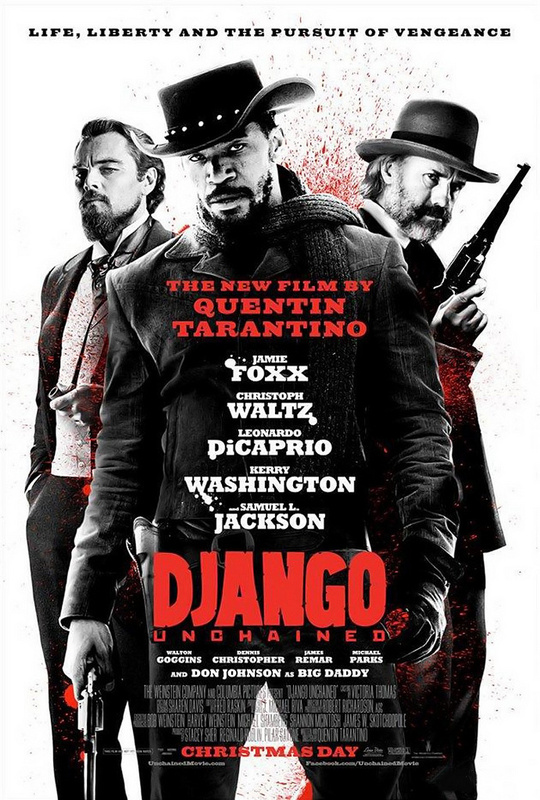 Django Unchained is very much a movie like that – if you see me squirm or flinch back due to gore and sympathetic pain, it doesn’t mean I actually care for what I see on screen. You need the emotional attachment to be there to begin with and to be enhanced by those sympathetic pain/music sequences, they can’t replace them completely. I think back to Prison Break, there’s a sequence where they cut off Scofield’s toe, and he’s a character we can relate to, and they do it slowly – so even though we don’t actually see the deed – we’re hugging the back of our seat. Also think of the ending of Requiem for a Dream, where horrible things happen to many of the main characters of the show. Finally, think of Fairy Tail – I touched on how influential the music was on my enjoyment and emotional participation in the show – I’ll be frank, without the music I’d have probably cared for the show a whole lot less. But that’s just the point, if you see us flinching back or squirming in our seats and you mistake us not enjoying what happening to the people on screen with us actually caring for the characters and the story, then you are mistaken. Django Unchained kept hammering us with big sequences that were supposed to make us care – an epic story, horrible things being done to people, decadence most extreme – but it never did the small thing first, it never created an emotional attachment with us. The main cast of the show – there is no one picture to capture the essence of the show. 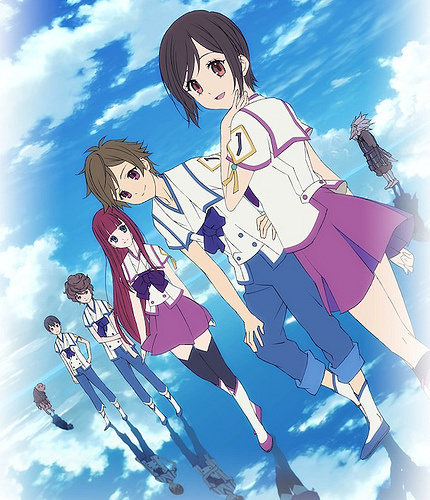 Shin Sekai Yori/From The New World is a show from last season. While it was airing some people have suggested I watch it – I looked over the plot synopsis, I looked over the synopsis of the first 6 episodes, and apparently very little happened, so I didn’t watch the show. Then while looking for something to watch, I’ve decided to watch this show. And am I glad that I have. I’m going to try to avoid spoilers in this post, because part of the fun in the show is having things revealed to you/trying to figure them out on your own – but the reason I don’t mind not having spoilers in this post is the same as I don’t think spoilers will ruin this show – there are no real “Getcha!” moments in the show, the strength of the show, of what is discussed is in you thinking about it and hopefully having a nice discussion with others about it. The “reveals” in themselves don’t command power, which makes them worthier, not less – there’s actual content and not just a bright flash meant to dazzle us. Well, I’m actually watching a lot of shows airing right now, so I’ll give each one a paragraph to help everyone else navigate this season’s shows. My opinion might change – there are more than a few series which were amazing until 4-6 episodes and then went downhill, but at 4-6 episodes you also get to feel you begin to see what these shows have to offer. Valvrave the Liberator / Kokumeiki Valvrave – We have a mecha show that really reminds me of Code Geass. Considering how much I love Code Geass, this is a good thing. We have kids running their school/country, we have mecha and inhumanity, we have an oppressive military empire opposed by a jackass capitalist empire… everyone is a jackass in this world, and thus far everyone also has redeemable qualities and isn’t a caricature villain. Good job thus far. Only complaint is Fukuyama Jun gets a minor adversary role of A-Drei when giving him L-Elf who’s bound to get more time in the show would’ve been perfect. Watched: 5/12 episodes. Second season already slated for Fall 2013. Current Grade: A. Worthy of your time, unless you dislike school shows, dark shows, mecha shows, and political shows. In that case, what anime are you watching? Evangelion 3.33 – You Can (Not) Redo – Oh, How I Wish You Could! This post will contain massive spoilers about this movie. Long story short? Extremely disappointing. I’ve watched the Neon Genesis Evangelion series many times, I own it as a set of individual DVDs before they released a smaller box for all of them together. As such, I was very excited with the ending of the 2nd Rebuild of Evangelion movie, it was throwing us both off-course in what was happening, and when it was happening. I expected we’ll get new content, unlike what we’ve seen in the anime – so after we went through 1.9 movies’ worth of old content we’d finally get new content! Well, there’s an idiom where I live that says that as big your expectations, the disappointment are just as big, and it couldn’t be more true than what I think of this movie. Again, massive spoilers ahead. This won’t be a review, more my thoughts on the movie and thoughts arising after watching the movie. If you look for an actual review, you should look elsewhere – the goal here is to lead to an interesting conversation.